Nicholas has no romantic notions about love, and no intention of changing his ways. He's only helping Briar so that she can find the perfect bride for his jilted cousin. Yet Briar is so clever, so curious, so candid--so blasted tempting--that soon, Nicholas can't stop wondering what it might be like if he was irresistible to her. ABOUT THE AUTHOR: USA Today bestselling author, Vivienne Lorret transforms copious amounts of tea into words. 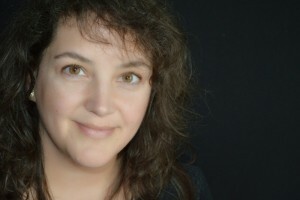 She is an Avon author of works including: The Wallflower Wedding Series, The Rakes of Fallow Hall Series, The Season's Original Series, and the Misadventures in Matchmaking series.